On Crunchify, we have written so far 500+ Java and Spring MVC technology related tutorials. Learning new stuff never bored me. I like learning new stuff every day and I believe it’s the same for my readers :). As you may have seen before Bubble Sort Algorithm, Selection Sort Algorithm and Insertion Sort Algorithm is very popular among various interviews. 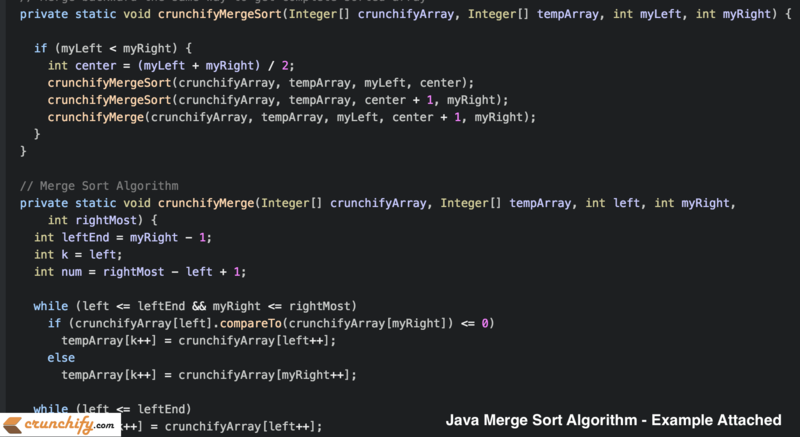 In this tutorial, we will go over Merge Sort Algorithm. Merge sort algorithm is very simple. Divide an array into half when it reaches to only one level then sort it. Next step is to merge it in sequence. Basically it’s divide and conquer approach. Here is a simple explanation about merge sort on how to it will divide and merge elements. 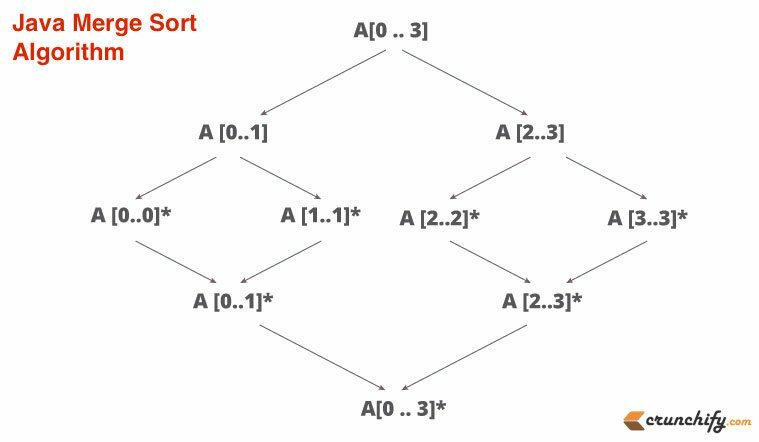 What is the merge sort algorithm? What is the implementation of merge? Try debugging program carefully to understand two methods crunchifyMergeSort and crunchifyMerge. Let me know if you have any questions or problem running above code. Big O Notation / What is a Merge Sort Algo Complexity? Merge Sort Best Case Scenario Complexity?